1. Download and install the latest version of Windows 7 drivers on HT Omega's Drivers & Software downloads page. Note that the drivers include the control software. 2. Set default playback device to Speakers: HTO CLARO. 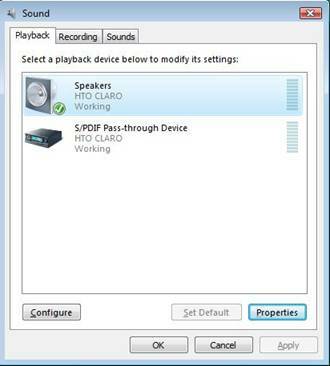 Windows 7 treats audio output as two separate device types. The first is "Speakers," the second "S/PDIF Pass-through Device" (digital output). The S/PDIF pass-through setting is for passing through the original signal as-is to an external receiver. To utilize the sound card please select Speakers: HTO CLARO. This settings applies even when using external digital speakers. 3. Xear3D can be used to control audio settings. 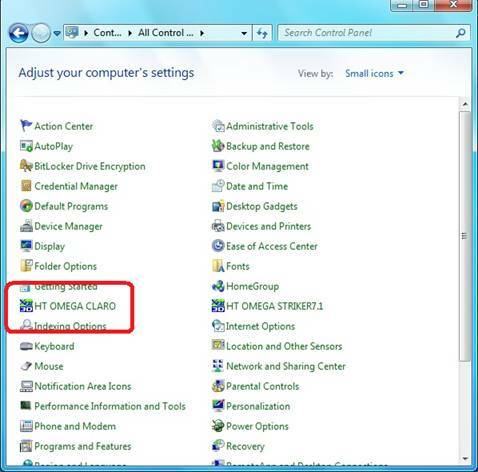 It is located in the System Tray by default. 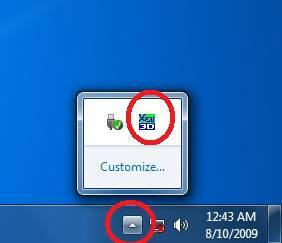 The Xear3D icon may be hidden in the system tray. Click the triangle to expand the system tray. Alternatively, Xear3D is also located in the Control Panel > All Control Panel Items, View by Small Icons. It is listed as HTO CLARO. 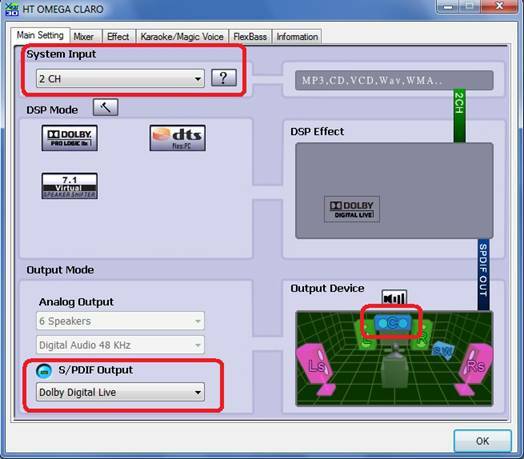 If using a digital speaker system, set the S/PDIF Output to Dolby Digital Live or DTS:Interactive. 5. System Input: System Input was introduced to enhance stability. For playback of 2ch data such as mp3 files, set System Input to 2 CH. 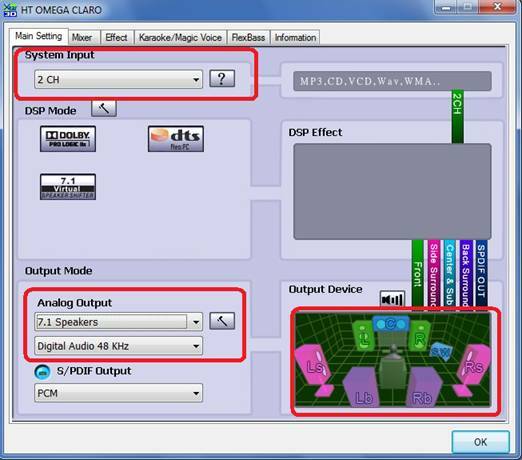 For multichannel sources such as surround sound DVD titles, set System Input to 6 CH. Alternatively, select digital pass-through in your DVD player software for DVD or Blu-ray movie titles.